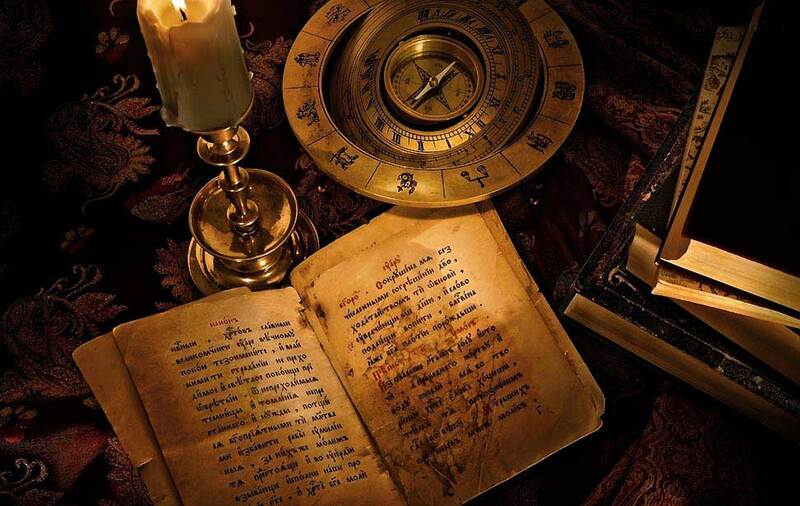 Astrology is a discipline with an infinite range of use, limited only by one's level of awareness and understanding. I know it to be an incredible source of knowledge granting insight into an understanding of the way in which our lives take form, giving meaning to our difficulties and reactions. Yet at the same time, involvement with Astrology can gradually open up levels of awareness and understanding that previously may not have been dreamt of. On a purely technical level, Astrology is a discipline that involves the calculation and interpretation of a chart from the date, time and place of birth. The interpretation is limited only by those involved, the Astrologer and client, the energy interaction of whom is fundamental, as in any interaction. The best result demands a more or less mutual level of awareness. Our 'limit' however is not static since development is a continual process and wherever we are, it is only a stepping stone to wherever we will be. The birth chart, like a thumbprint, shows the uniquely individual way that the energies combine in each person. Viewed separately, each planet and sign is of a certain energy type which is a constant, yet when combined at that moment of birth, they result in a unique potential which cannot be measured against a limiting yardstick. The birth chart can potentially reveal everything about us, mentally, physically and spiritually. It can also demonstrate what is needed for development, integrating these apparently disparate planetary aspects. This is the path to Oneness, which is Love. Life is energy and the birth chart is a blue print of the way a particular combination of energies can potentially function, flow and develop. We are energy, and energy is about change and development, so from the moment of birth, (and perhaps before) our life's work is to develop on every level that we are aware of and become aware of. Each planet corresponds to a particular energy type. Each sign represents the way in which this will function. For example the Sun indicates our vital force, or core self, what we are essentially, though not exclusively, and what we are here to develop (not what we automatically are). How that will manifest is shown by the Sun Sign. It is through our development work that we become able to let go of the illusion of our own needs. Each Sun Sign has a particular vibration that ideally works in harmony with all twelve. At the same time, the unique interactive placings of the planets, as seen in the Astrological Birth Chart, combined with the Sun, reveal not only how individual we are, but how specific our development path is, though in general, the process is the same for all. In the sign of Aries the development potential is in the courage to take pioneering action, paving the way for others, doing what needs to be done. Not just being first for the sake of it. The Sun in the sign of Taurus is careful and unhurried. Potentially deeply aware of the value of the spirit of life as it flows through the physical plane (allowing an affinity with the material aspects of life), through realizing the value of the 'self'. The development path of the Gemini is in becoming a clear channel of information that flows positively and beneficially, rather than the aimless gathering of disparate information without regard for the effect that any of it may have on others. Cancer's intuitive sensitivity has the potential, through valuing and fulfilling the unmet needs of the 'self', to care for and nurture wherever possible, and through that energy flow, all of life benefits. In Leo the potential of the Sun's vital force, as awareness grows, is in being a leading light, finding fulfilment in lighting the way for others, rather than filling a need to be noticed. In Virgo it is in serving others, revealing the path to expertise through dedication, and then through that mastery making a perfect whole with each separate part, without becoming mired in the pieces or details. In Libra, it is in finding the inner balance that when channeled through Libran energies, brings peace and harmony on every level, rather than struggling to keep the peace through over-compromising the 'self'. In Scorpio it is through understanding the very depths of human nature, the good and the bad and once that understanding is found, being able to rise up and renew rather than becoming stuck in the depths. In Sagittarius it is in being able to see ahead, moving from goal to goal, expanding inner and outer horizons, and realizing that each goal as a stepping stone to the next first must be completed. The Capricorn potential is in understanding the structures of life and the importance of building a firm foundation before climbing to the next level. Yet also being able to let go of structures that no longer serve. In Aquarius, the potential is for individuality and independence, detachment without separation or prejudice. Being free to understand the intuitive concept or vision and to share the knowledge. In Pisces, the path of development is in learning to stand strong and alone, serving through the empathic understanding of pain and suffering without allowing it to cloud the energy of psychic perception by becoming immersed in pain. Our Sun Sign shows what we are essentially though not exclusively. The placing of the other planets represents our strengths and weaknesses, or challenges to awareness, contributing vital information about our path of development. In a sense those energies (planets) 'serve' the Sun, the leader, our vital force. Development is about the gradual emerging of the positive potential of the Sun Sign, along with the other planets; as it grows in strength so it leads the way and we gradually fulfil our potential promised by the Sun sign. It is by developing this core self (Sun sign), that contact with the Higher Self can become more conscious, and it is really the Higher Self who then leads the way. Development is the key word, and is continually taking place. However periodically, we each go through a major phase of 'development' which usually involves change, and often means pain. There are no hand books, and so these periods are often bewildering and frightening. Depression can descend like a dark heavy cloud combined with a feeling of inertia and a belief that the despair will never end. This is where Astrology can help. It can shine the light of meaning into the darkest corner bringing an understanding of when to move forward. This is achieved through the study of the birth chart. When combined with knowledge of the current planetary positions, this can illuminate past patterns and reveal elements of the future. As well as planets and signs, the birth chart contains 12 "houses". Houses represent areas of life and the houses that contain planets indicate which aspects are most prominent. Significant houses are the 4th and 10th, or the parent houses. These houses describe the way each parent has been experienced together with their relationship with each other. Because development takes place through the difficulties that have been both passed on and catalyzed by parents to their children, (an interwoven process), the study of these houses can reveal a large part of a person's development path. This reveals development to be both a personal and collective process. Each parent plays an incredible role in their child's development on every level. What is not always realized is that more information can be both transmitted and received on an 'energy' or unconscious level, than conscious. For example, if shortly after birth the Mother becomes depressed, she may outwardly tend to her child very well, but be withdrawn on a feeling and emotional level. This can catalyze an energy pattern or predisposition, in the chart of the child, if it exists. In terms of spiritual development, this manifests as a psychic link or cord from one of the chakras or energy centers of the child, to the experience of the Mother, which interrupts the flow of the child's energy field. This result in a block which is also a void and as the child grows; she or he will constantly seek to fill it through relationships, material achievement, or escapism until realizing that the void can only be filled from within. We all have many interruptions to our energy field, impeding our ability to function in the way that we potentially could. These become noticeable when we are in the presence of someone who 'presses our buttons'. This occurs as their energy interacts with our own energy center. Development requires us to recognize and work on those cords, or energy links. Once conscious initiation of this work has taken place, our energy field gradually becomes more and more complete, and we feel more at peace. However, this cannot be achieved overnight. At certain points or periods in life, a transiting planet will activate the energy pattern of experience, provoking a need to work on what is missing. This can manifest in many different ways. Career or relationship problems, domestic or financial difficulties, health problems, deep discontent and perhaps more. This type of a manifestation will mirror or point to the related void or gap in the energy field, which has resulted in a lessening of potential strength and power. Such an indication in the birth chart could be said to be of a negative energy, but it is in fact the fuel for development, as the so-called negative energy can potentially provoke action. These periods focus on change, the inner awareness of which can be very painful, mainly because change requires a process of 'letting go'. There are possibly aeon of lifetimes connected with any particular cord that is to be 'let go', in addition to the current lifetime's accumulation. Therefore the 'pain' can be intense because it is of the past as well as the present. Cords or energy connections are attachments, and hold you in a groove, like the groove of a record repeating the same bar of music. Maybe there is nothing wrong with that bar, but you cannot move forward. So that in your experiences of life, you keep repeating the same patterns, until awareness enables you to see what is happening. The Birth Chart is a valuable tool that enables us to see and understand in what area of life the pattern manifests most strongly, and from where it originates. Usually the doorway is through a parent with whom we share this particular type of development work. By examining what is activated by a transiting planet (or planets), and in what area of life this relates to in the birth chart, it is possible to give meaning to the pain and confusion, and gain deeper levels of understanding that can help us to begin the work of change. From the birth chart, the Astrologer can provide the missing information to empower someone to make choices and decisions. At these difficult times of major work, it is the work itself that reveals the answers, the outcome and direction. This is the spiritual process and prediction can interfere with that process. It is more helpful to let someone know when a difficult phase is coming to an end (the light at the end of a tunnel), or when opportunity will open up, thereby offering support. All life or energy is about movement and change, and as different types of energy interact, their specific vibration results in a certain type of movement and change. This is revealed by Astrology.